High Blood Pressure or Diabetes? Skip This Good Deed! Doing good deeds is important. It is especially important in cases where you have to inconvenience yourself in order to help others. But in cases where you may actually lose your life in the process of helping someone else, most people are willing to accept that there is no moral requirement for you to help. For this reason alone, there is one good deed that you should not consider attempting, especially if you have type-2 diabetes or high blood pressure. Medical specialists at a recent kidney conference in San Diego, California advised people with high blood pressure and type-2 diabetes to refrain from donating their kidneys to those in need. This statement followed a study by Dr. Hassan Ibrahim, one of the conference participants, on the health outcomes of those who have already donated. According to his yet-to-be published study, people who have diabetes or high blood pressure are two to four times as likely as their peers to develop reduced kidney functions. If this reduced kidney function develops into kidney failure or end-stage renal disease, they will find themselves needing new kidneys. This study is important, not only to save people from generous acts that may hurt them, but for two other reasons, too. Firstly, as an increasingly large number of people develop high blood pressure or diabetes, the numbers of people who can donate kidneys are dropping. 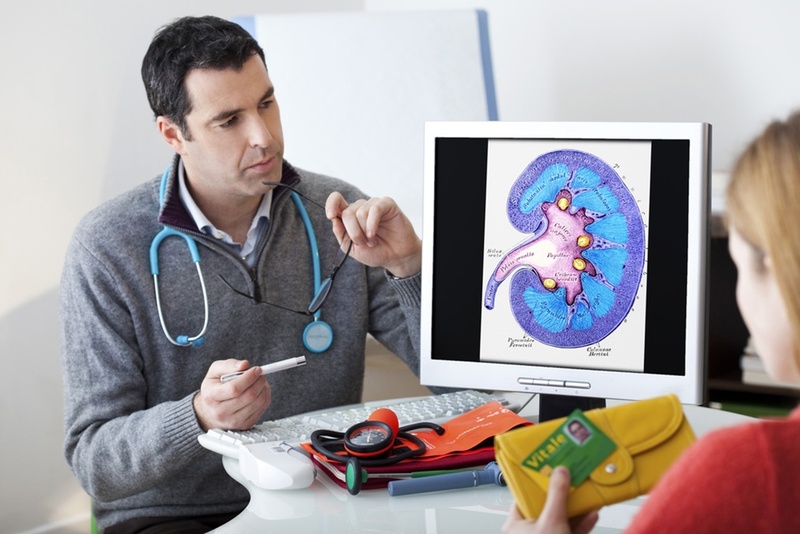 Second, as seen from the other point of view, since diabetes and high blood pressure can cause kidney failure, a larger number of people with these conditions have led to an increase in the number of people who need new kidneys. In other words, the waiting list is ballooning while donors are dwindling. There is already an existing gap between the number of people who need kidneys and the number of people can donate them. For example, according to the US Renal Data System, 111,000 patients went on to dialysis and end-stage renal disease treatment in 2007, while only 17,513 kidney transplants were performed. Luckily, the gap between those who ideally need transplants and those who receive them is not that large annually. However, the number of people with kidney failure and dialysis treatment is becoming a huge worldwide health problem. The number of Americans treated for kidney failure has increased dramatically from 209,000 in 1991 to 472,000 in 2004 to 527,283 in 2007, reflecting an increase in its contributing factors; namely, hypertension and diabetes. The discovery that diabetes and high blood pressure cause kidney disease is not new. The US Renal Data System lists both as the two main contributing factors. The new study contributes to the debate by showing just how poorly the health outcome is for people with diabetes and hypertension who donate kidneys are. If you have hypertension or diabetes, this means that you are not able to donate a kidney to a close relative who suffers from kidney failure. In fact, many hospitals will not permit you to donate a kidney if you have one of these conditions, even if you do sign a consent form that states that you understand the risks. Furthermore, your country’s medical systems simply cannot afford to have you on dialysis, too. This can leave someone you love on dialysis and in poor health for years. Equally worrying is the day when your type-2 diabetes or high blood pressure reduces your own kidney function to the point where you need to go on dialysis and need a transplant. Then there will be little help for you as well. This, once again, shows the importance of curing your diseases naturally.